I was explaining in last week’s blog that becoming a better human was very much an inside job. It takes a lot of self work. It’s a process of introspection, increasing your self-awareness and figuring out some honest answers to some tough questions. Coaching needs a framework if it’s going to be successful and that process (though I don’t really like that word) has to start somewhere. For me, that place is identifying and understanding your personal values. 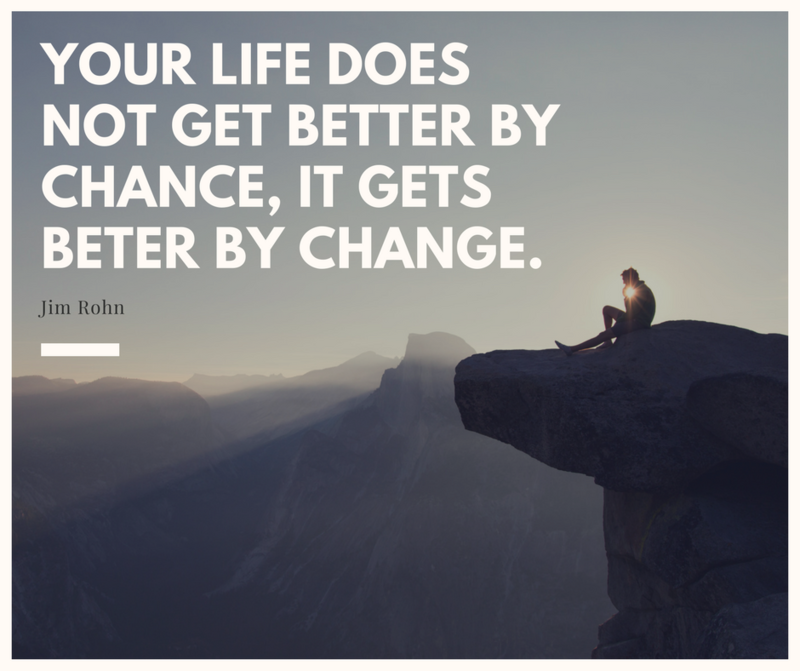 None of the change you want to manifest in your life can happen unless you know at your deepest, most intimate level what truly matters to you. So before you can figure anything else out, before you can think of going anywhere new with your life’s journey, you really need to know what your own inner compass is about. 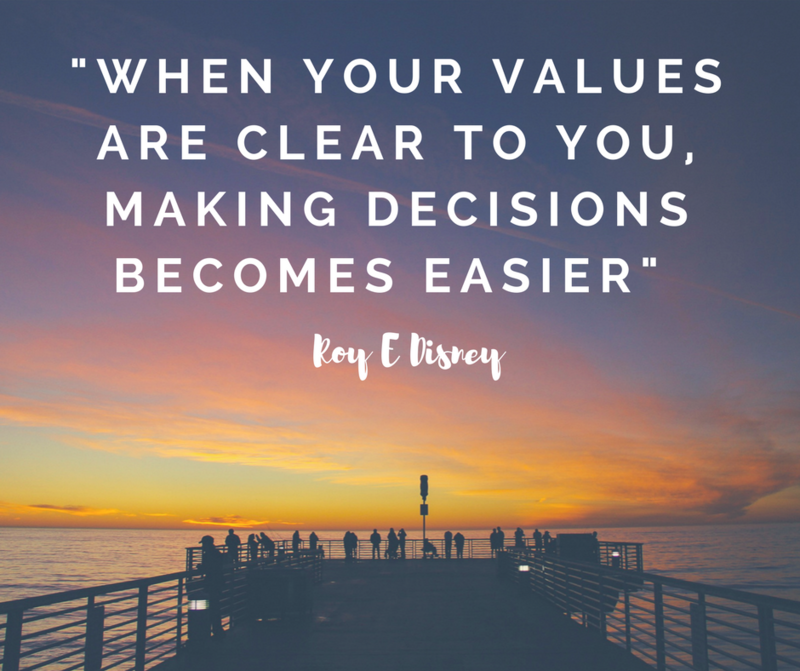 Not only do your values underpin every decision you have ever taken, and will ever take in the future, but they’re pivotal in determining your happiness. They are literally the foundations that everything else is built upon, so I think it’s super important to be able to name them – to know them intimately. At first it seems really odd to think about this stuff. Like somehow you’ve always known your values, right? And yet if I asked you to give me the top ten values that you think you live your life by, how easy would be it list them? If we are living our lives authentically, that is to say in line with our values, we are more likely to live contended, happy lives. When faced with choices or with change we are then better able to see whether the outcomes are likely to align with our values and therefore improve our quality of life and encourage personal growth. If not, we are likely to stagnate, feel frustrated or even trapped in our lives. 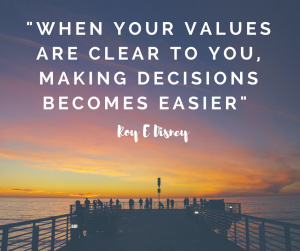 There are a few different ways of figuring out what your values are and I work with a couple of them when spending time with clients. Firstly there’s no right or wrong when it comes to values. They’re uniquely yours and there is never any judgement associated with them. It’s also the reason why we just click with some people and not others. It’s one of the big underlying factors that affect us finding true friends, partners or soul mates. Finding other people with similar values to us is a gift, but it’s a whole lot easier if you can easily articulate (to yourself and others) what they are. I’d love to share one of my personal favourite values elicitation exercises with you and if you’d like to receive a copy of my free step-by-step .pdf please just email me at hello@theabaker.com.au and you’ll get it straight to your inbox. So you’ve figured out what your core values are, now what? I’m a visual person – I see things in pictures, I dream vividly, both during the day and at night, so I guess having a vision for my life, where I want to go with it in all it’s technicolour brilliance, seems completely natural to me. There’s serious science behind the whole vision thing though. 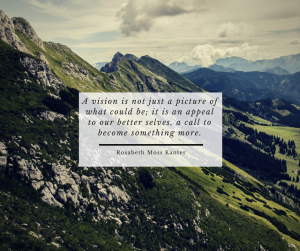 Having a clear idea about how specifically you’re going to look, feel and behave like once you have actuated change, created your ideal, most well life makes achieving it so much more manageable. Achieving this kind of life takes more than just setting some goals (more on that next week) or having a five year plan. 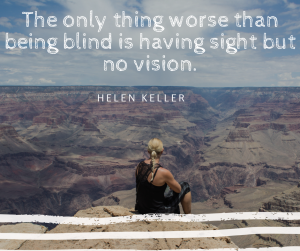 And this is why it’s called your vision. It’s about having a really clear picture of what you and your life are going to look like at your most incredible best. Then it’s about manifesting that into reality. The vision of what that looks and feels like, that “best life” you have waiting, is there inside you already. You don’t have to manufacture it. But you do need to connect with it, play with it a little, try it on for size, maybe even tweak it a bit. This for me is where magic really happens for clients. And it usually takes a little while to put this picture into words. But I promise you it’s worth the effort. I have one client who literally wells up when she reads her vision out loud…and I get her to do it every session. Because it’s all sorts of kick-arse powerful. It speaks straight to her heart because it sums up her true self (values) and her desires (vision) so perfectly. It’s more than a vision board, though they are great and I have one in my PT Studio and my coaching practice space. It’s your WHAT and your WHY all in the one place. What are you going to do? Details. What does it look and feel like when you’re there? Specifics. What does it mean to you and what will it be like? Use big, beautiful and meaningful language. Then ‘why’? And that goes back to your values. This part is all about your own personal reasons for being on this earth and living the life you do. As an aside, although it was originally created for the business world, if you haven’t seen Simon Sinek’s TED talk on “WHY” you really must! It’s one of the most inspirational things you’ll do today and he explains the sense of this so much better than I ever could. Going back to your vision though, your why is value-driven and it’s utterly unique. And this is why I always start coaching with values, because as I said earlier it’s your bedrock. I am going to be [ WHAT – fill in your blank ] so that I can [ WHY – fill in your blank ]. For me it has to be written down somewhere. It doesn’t necessarily have to be pinned to the fridge for the whole world to see. It doesn’t have to look beautiful. But it does need to speak to you. It needs to get you in the feels. It’s from this place, from this vision, that all the change happens. Every decision and choice you make needs to fit with this, otherwise something is off. 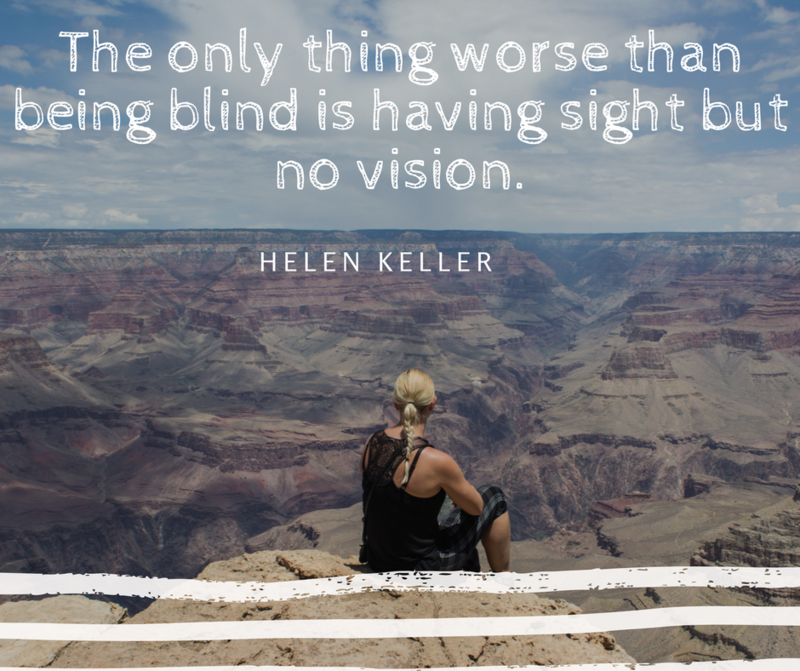 Now sometimes that might mean that your vision needs to change, but usually it’s because you’re trying to squash a square peg into a round hole. You’re trying to force something to work, and usually you know that, if only with hindsight. The beauty of the coaching process is that it helps you reconnect and discern your gut instinct, to tune into your intuition, so that happens less often. Living from a place of value-based authenticity is completely liberating. Sure it takes some effort, but it’s all about becoming a better human, so what’s stopping you? For more information about working with me as a Coach, please get in touch with me at hello@theabaker.com.au so that we can start a conversation that might just change your life.